If you need a quick and easy Valentine craft idea (for a teacher, grandma, friend, etc.) 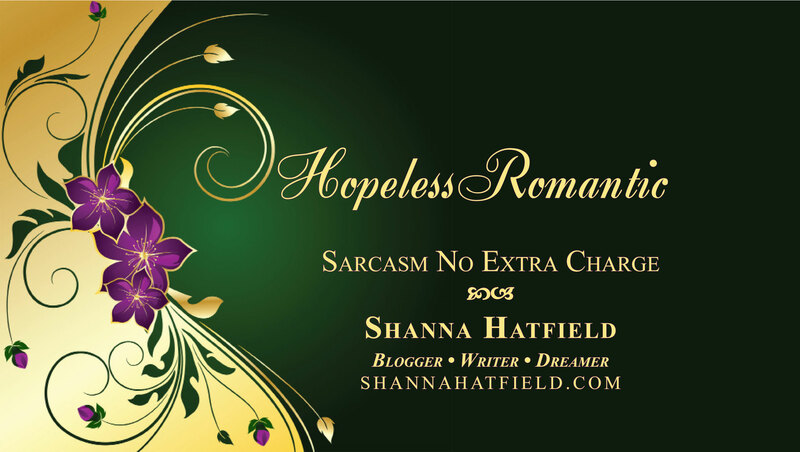 this one is so cute and fun. 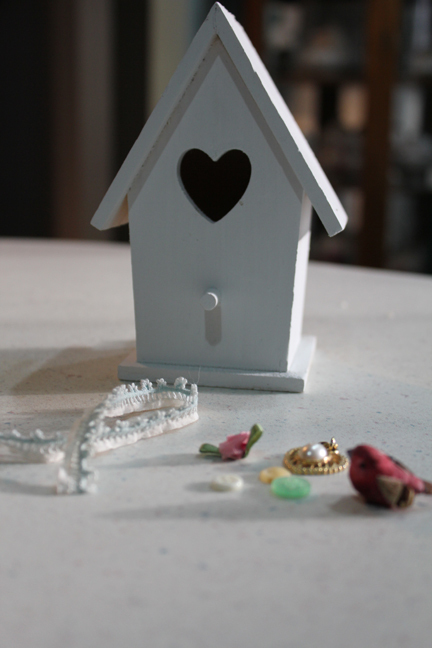 You need a little birdhouse, some trim, a few embellishments, and hot glue. That’s it. 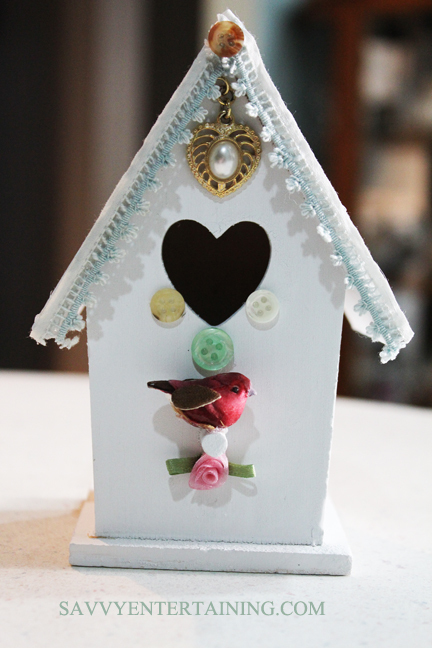 I find this adorable birdhouse, with the heart cut-out at the local craft store for $1.99. I brought it home and gave it two coats of white matte spray paint. Next, I decided what trim I wanted to use. 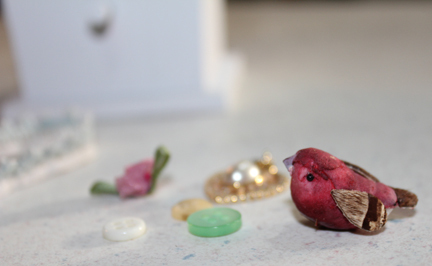 A few buttons, a little fabric rose, a piece of vintage trim and, of course, a little bird. 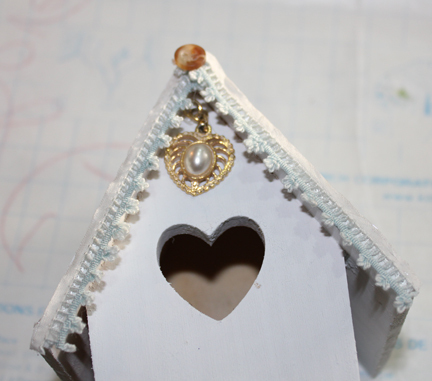 Using your hot glue gun (or craft glue works, too) glue the trim along the edge of the bird house and start added the embellishments. 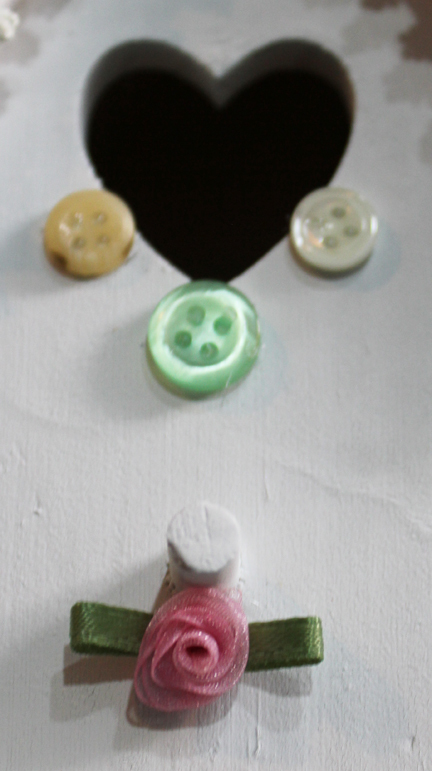 I just loved the buttons and little rose. And in about five minutes, you’ve got this sweet little gift for someone special. Total project time is about an hour if you count time for the paint to dry.